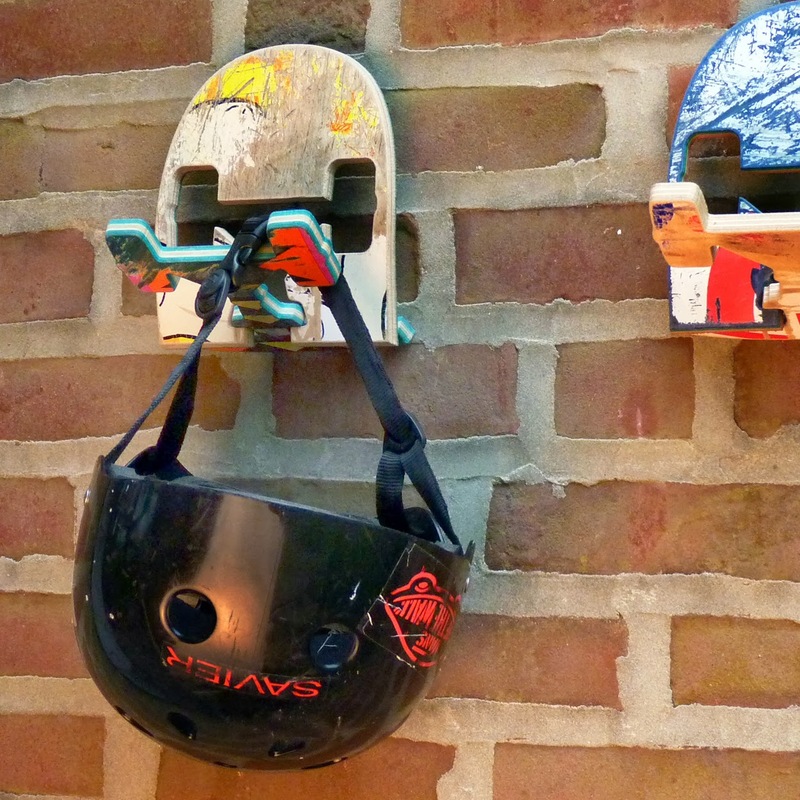 Beaten up skateboards have a second chance over at the Pennsylvania company Deckstool - they rescue broken and trashed skateboards and craft them into unique collections of sustainable furniture and useful designs for walls. Overtime lead designer Jason Podlaski realized they collected so many small pieces they could not use for their furniture designs and could not bring themselves to throw them away; He found a new life and beauty in the scraps and recycles them into cool useful designs for walls. 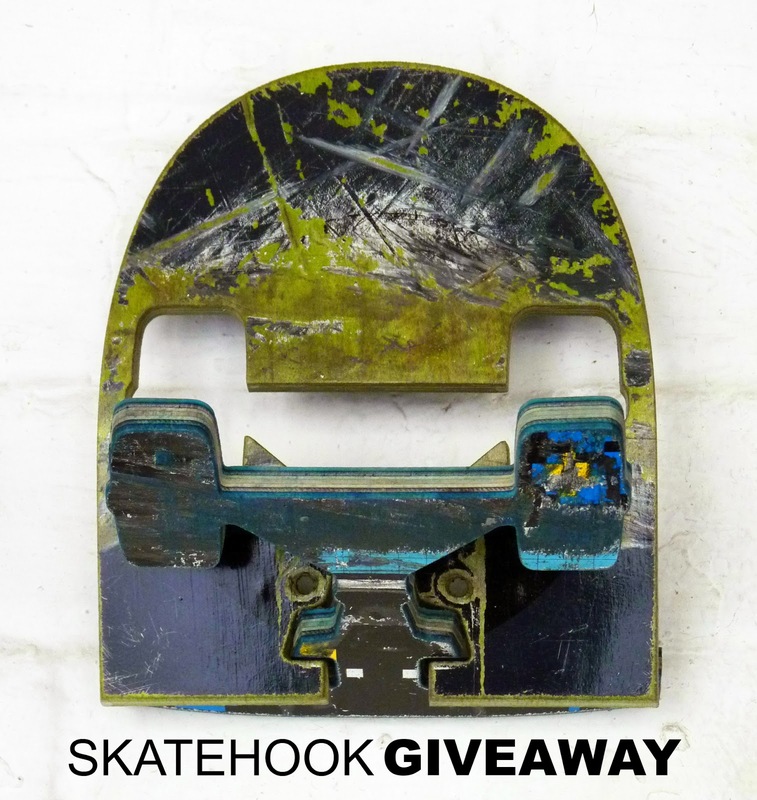 The new launched site is called SkateClocks - a new creative outlet for smaller home product ideas inspired by skate graphics and graffiti. 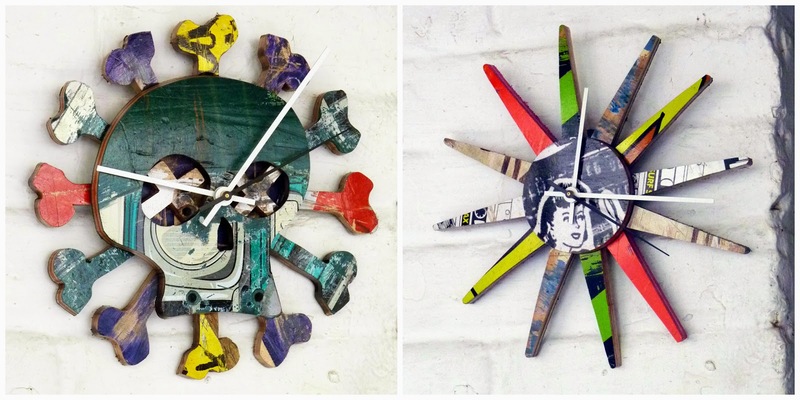 All products are recycled in the USA, precision cut and hand assembled by skater-artisans... so awesome! How did you get started designing with skateboards. I was into skating and snowboarding growing up. I was never a great talent on a board, but I loved the culture, art, and lifestyle that went along with it. I graduated from Philadelphia University with a degree in Industrial Design and worked in the furniture industry after school. A series of unfortunate and fortuitous events, (including the designing of the original skateboard stool by my brother and I, and the burning down of the woodworking company I was working for at the time,) led me to start our skateboard recycling company Deckstool. Take us behind the scenes of your creative process. My first step in any project is to become very familiar with the material and the different methods that may be employed to create with it. This can be a slow process, but I think it opens up horizons creatively and helps push new things in terms of design and manufacturing. The design process basically consists of conceptualize, sketch, build, refine. And then repeat as necessary. We run through this process until the products quality and deadlines dictate that we are finished (or finished enough, for now!) Product improvement is an ongoing process. SkateHook is a wicked cool way for kids to hang their gear, bags or whatetever.... It's made from a skateboard tail and has a cutout skateboard truck shape that pops-out for a 3D effect. 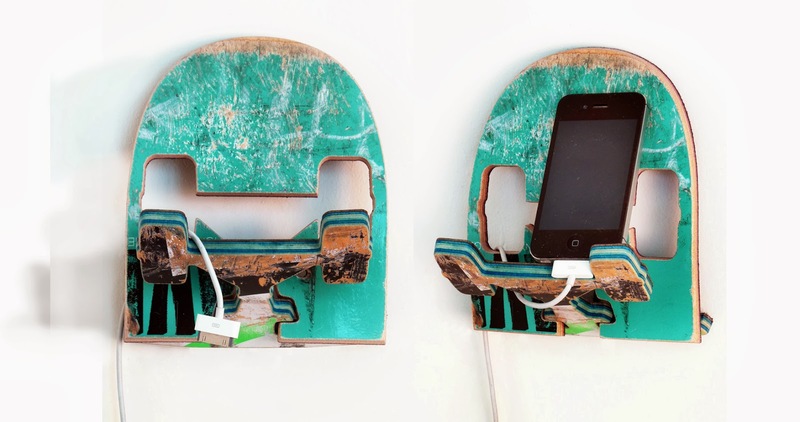 It can also be used as a charging station for your cell phone or smaller tablet device. 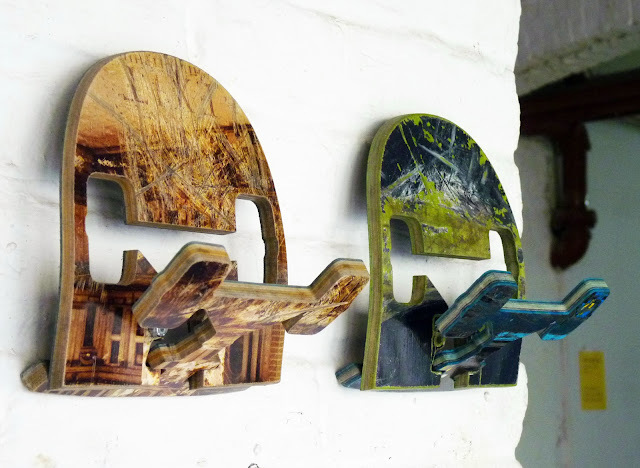 These funky and fun SkateClocks are coming soon!